We offer same-day Emergency Repair Service at Low Competitive Rates! Call Us Today for Fast friendly Service! Call us at 480-709-9457 today and Save! We offer a 10% discount to all Seniors! We have Experience working on All Makes and Models! Including Commercial Replacement services too! FREE Service Call with all Repairs! Commercial & Residential HVAC Services! We have Experience working on All Makes and Models! Call Us Today at 480-709-9457 to learn more about our services. Fountain Hills Air Conditioning Repair and more! 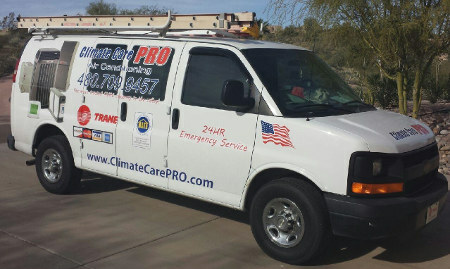 Climate Care Pro LLC is a passionate and reputable company based in Arizona, United States. Our owner Bobby Quihuis has a combined 30+ years’ experience in Air Conditioner sales, repair, and maintenance. We are respectful of your home and your time as we provide honest, dependable, and reliable customer service for every customer and any job. It is our commitment to ensuring that all of our customers are completely satisfied. We have been involved in both Residential and Commercial construction specializing in majorly in Air Conditioning Installation, Air Conditioning Repair & Maintenance Service(s), Duct Insulation & Sealing, Ductwork Installation & Repair, Furnace Installation, HVAC Inspection, HVAC Installation, HVAC Repair, HVAC Services, Heat Pump Installation & Repair, Water Heater Services. Our team at Climate Care Pro LLC has become one of the most trusted names for both residential and commercial customers who are seeking professional air conditioning and maintenance services. Our company has over 30 years’ extensive experience, along with a strong reputation for complete attention to detail and well thought out designs that meet our customer’s needs. We are continuously working to improve our services and research new ways to provide customized solutions for every home comfort need. You can rely on us as your one-stop source for all of your air conditioning needs. We guarantee that you will be impressed by our high attention to detail with speedy and friendly response to any heating or cooling emergency that you may be having. We are committed to providing our customers with top quality heating and air conditioning services. Our team can help with all your heating and cooling concerns. We take special care to protect your home and office to perform the job in the most efficient manner possible. We take pride in treating each customer’s home with respect and leave it as clean as we would if it were our own. We have built our outstanding reputation by using highly trained technicians, installing quality products, and delivering excellent service at a competitive price. If you are looking for a professional to perform residential or commercial HVAC work, Climate Care Pro LLC is ready to take on the task. 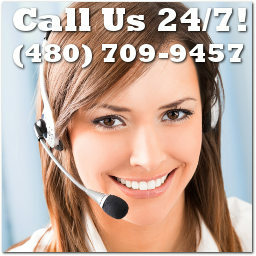 We are very proud to deliver the best in HVAC repair, maintenance, and installation to customers in and around Arizona. We have a solid reputation for efficient and prompt services to commercial and residential clients.